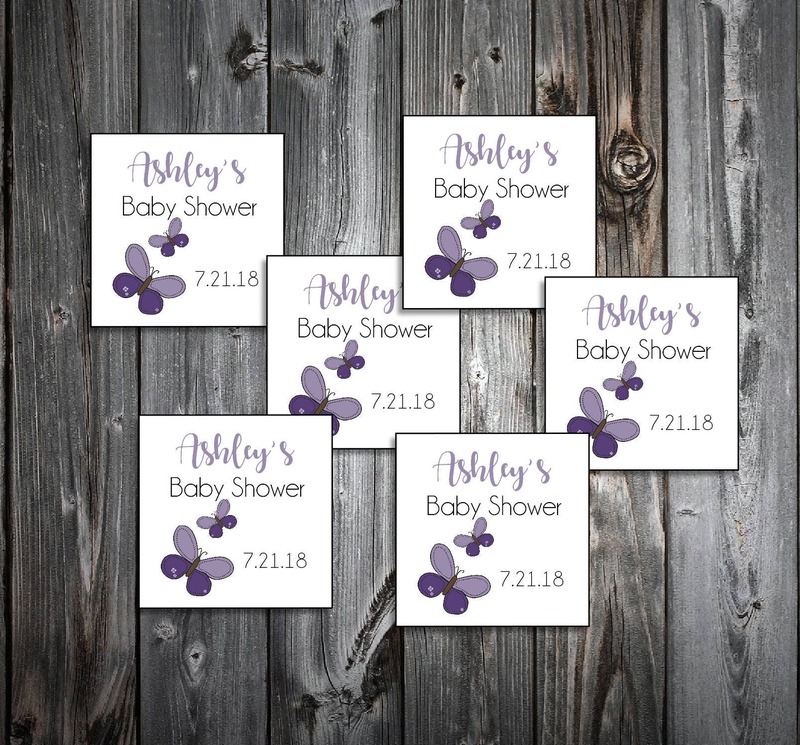 25 Purple Butterfly Baby Shower Favor Stickers. 2 inches by 2 inches. Price includes personalization and printing. ~ Favor Stickers~ Great for favor boxes and favor bags. Favor Stickers: Measure 2" x 2" . These stickers are self stick and come in white only. We do all the designing and printing here on sight! Need these to match your theme? Just let us know what theme you are using for your wedding and we can match it the best we can.